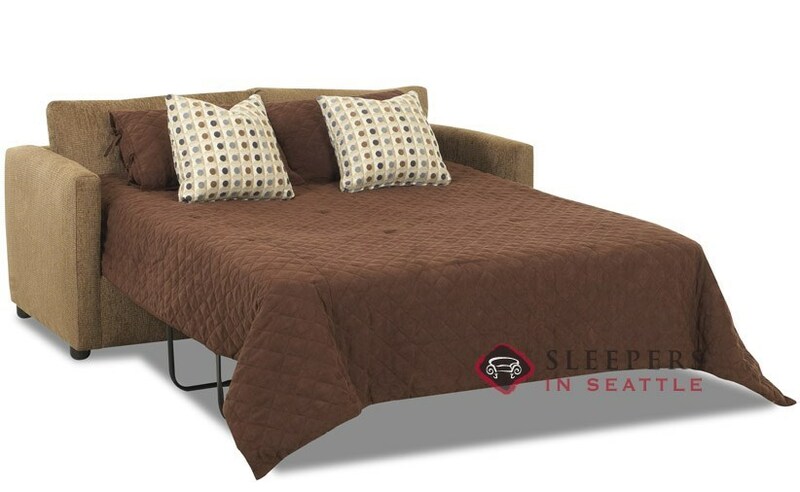 A best seller, the San Francisco Queen Sleeper is clever and compact. 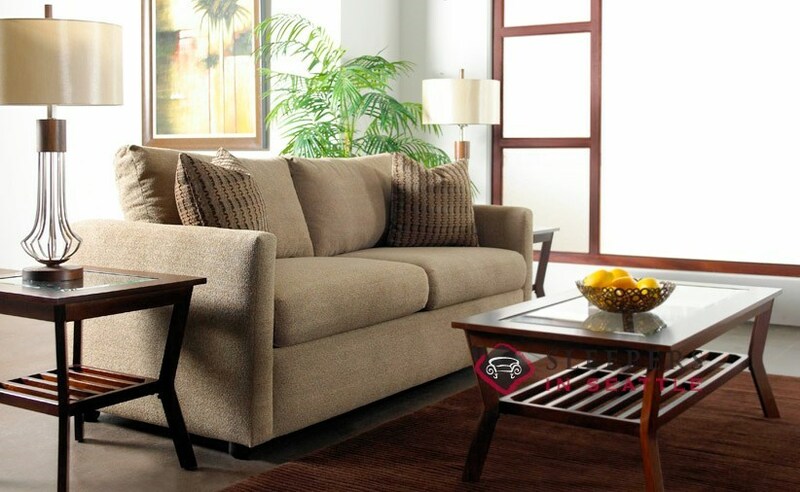 Narrow, geometric arms and modern lines throughout allow this sofa bed to grace any room's landscape with panache. The San Francisco's petite lines make it a snap to deliver. very happy w this purchase. i ordered it right before the holidays and it arrived on time & in great condition. made my purchase over the phone & was satisfied with the level of customer service i received. all my questions were answered. def coming back to sleepers if i need another one! The San Franciso looks great, and the delivery went smooth. Ready for guests now! 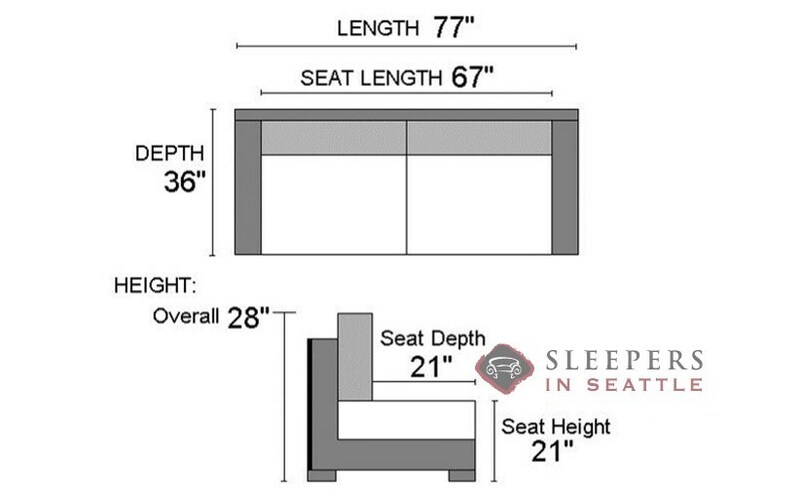 Is the San Francisco the most compact sleeper sofa available? The San Francisco is definitely one of the most compact Queen Sleepers available. In our Savvy Brand, we have a few more styles available at only 77" across in the queen size: including the Ashland, Astoria, Denver (rolled-arm! ), and Valencia Queen Sleepers. 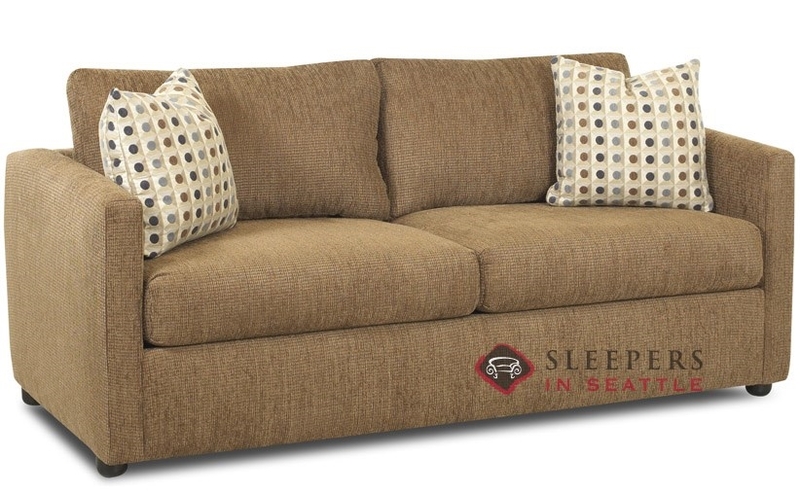 Our most compact Queen Sleeper is the 689 by Stanton--at only 75" across! The San Francisco Queen Sleeper weighs approximately 175 lbs. How much does this sleeper weigh? Is it a high quality (comfortable) mattress? The San Francisco Queen Sleeper weighs approximately 175 lbs. The included mattress is definitely a step up from what is usually found in a sleeper sofa--at about 6.5" thick. There are also mattress upgrade options, which can be seen by clicking the Mattress Options feature banner below, or clicking Additional Options in our Sleeper Design Center, after electing to "Build Your Own" and selecting your fabric. Can you explain to me why your sleeper sofa's would deliver such a better experience and night's sleep over that of the terrible sleeper sofa of yesteryears? Hi, How much do your sleepers hold? We have a heavier friend that comes to visit and he would be using this. Thanks. While there is no hard-set rule here, the suggested maximum is 250 lbs. for a single person, and 400 lbs. for two people. 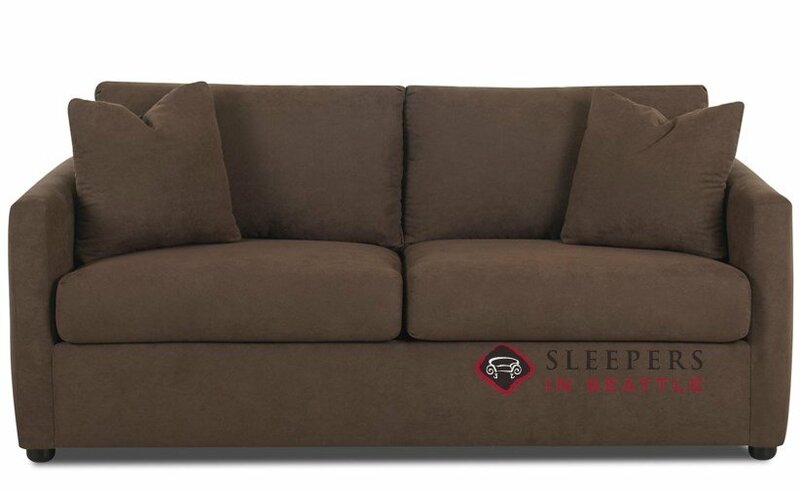 Is the full height of this sofa sleeper truly only 28"? Can you also verify the diagonal depth of the sofa? 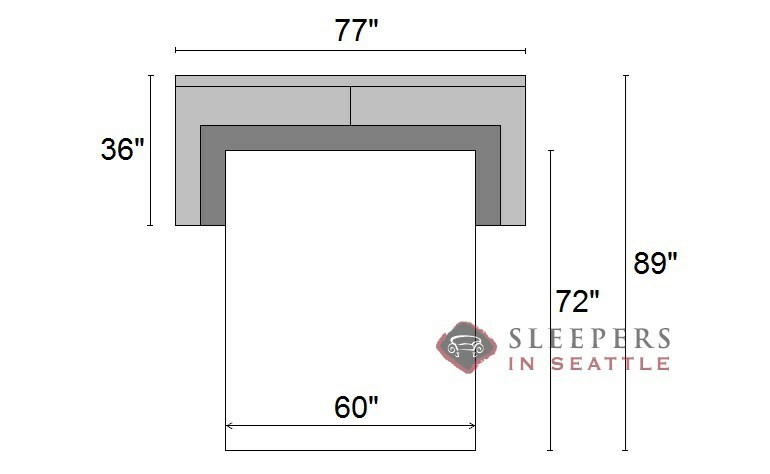 We would need to navigate through a 78" x 29" door and if these dimensions are true, this may be the answer to our needs. The height of the back, not including the pillows, is about 27". That measurement includes the feet, which are approximately 2", and can easily be removed. Delivering through a 29" door should be no trouble at all, even with the feet on.